For generations, it has been the traditional role of the American gunsmith shop to provide its clients with quality craftsmanship in a timely manner for a fair price all backed by honest dealing and excellent customer service. 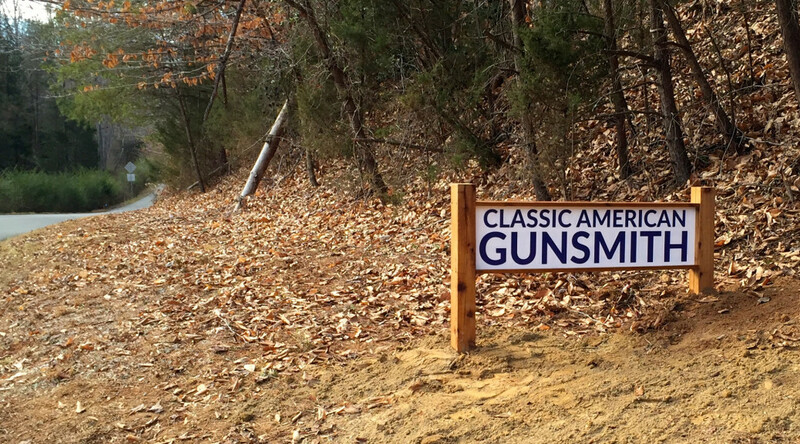 Classic American Gunsmith is that traditional gunsmith shop. Our gunsmith is a classically trained craftsman who embraces the benefits of modern materials, tools, and techniques while maintaining the highest standards of quality. He has the skill, training, and knowledge to work on guns ranging from antiques to the newest black rifles and pistols. Each of our clients is the most important client we have. When dealing with us you will interact directly with the gunsmith who will be working on your project. With us, each of your guns will be passionately cared for with precision and professionalism. We welcome you to email, call, or come by the shop. You can bring a project, ask a question, or just say hello. Remember to ask about our $15 gun transfers.